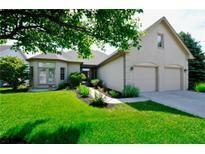 Below you can view all the homes for sale in the Plum Creek subdivision located in Carmel Indiana. 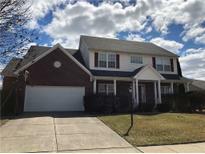 Listings in Plum Creek are updated daily from data we receive from the Indianapolis multiple listing service. To learn more about any of these homes or to receive custom notifications when a new property is listed for sale in Plum Creek, give us a call at 317-427-7201. Very well maintained - absolute move in condition! MLS#21629355. Carpenter, REALTORS®. Southern exposure with lots of natural sunlight, big lot, irrigation system, highly sought after Plum Creek Ridge, must see! MLS#21628608. T L C Real Estate Group. Fantastic golf & water views from the entry, great room, kitchen, sunroom, master suite & deck! MLS#21625685. F.C. Tucker Company. Centrally located w/easy access to Fishers & of course all of Carmel's great offerings. MLS#21622461. Indy HomeTeam Realty. New roof in 2018, furnace in 2015, and AC unit in 2012. MLS#21617405. CENTURY 21 Scheetz. Freshly painted first floor, foyer and ceilings. MLS#21618984. F.C. Tucker Company. 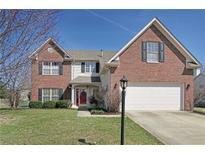 Walking distance to updated Inlow Park and restaurants. MLS#21616435. Carpenter, REALTORS®.